Hurting after abortion? 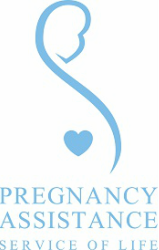 - Pregnancy Assistance Inc. Perth WA Pregnancy Assistance Inc. Abortion is a complex choice and not a decision that a person takes lightly. It is often made in a time of great distress. Conflicting emotions may occur and many may experience temporary relief. However, evidence shows that women and men may experience a range of distressing emotions. Sadness, loneliness, anxiety, shame, guilt, grief, doubt and regret are all commonly reported. Post abortion syndrome (PAS) is a post-traumatic stress disorder experienced by some women and men who have had one or more abortions. The trauma may manifest itself as a breakdown of function in the psychological, physical and/or spiritual areas. If you had an abortion and you feel like you have not recovered from it, please know that healing after an abortion is possible. You don’t have to do this on your own. The counsellors at Pregnancy Assistance are compassionate, caring and willing to support you through your healing journey. Post abortion counselling is about your experience and giving yourself permission to talk about your feelings if you so wish.